Could Your Driving Safety Be Improved? Have you put the brakes on how you drive recently? That is determining that you are not adhering to driving safety needs as you should? As such, correct whatever driving habits are hindering you from being safe. Whether drinking and driving, reckless driving, and even your cell phone, correct the issues. So, could your driving safety be improved? Attitude – What kind of driving attitude do you take on the road with you? Some drivers are in a bad spot in that they are rather careless when they get behind the wheel. They figure the road belongs to them and everyone else needs to adjust. The problem with such an attitude is that it can be the precursor to an accident. For you to be as safe as possible, make sure you have a positive attitude each time you turn on the ignition and head out. Vehicle – Would you say that your vehicle is road-ready more times than not? Too many car and truck owners are riding around in vehicles that are an accident waiting to happen. As such, they place themselves and others they share the road with in jeopardy. Do your best to keep your vehicle maintained. Along with an annual vehicle inspection, look for any signs your car or truck is not up to speed with safety. A safe vehicle also allows you to avoid getting pulled over because something is amiss. You may also come to the conclusion that it is time for a new vehicle. If so, look at it as an investment in your safety. Actions – When you stop and think about it, a car or truck could be a deadly vehicle. With that being the case, your actions behind the wheel are imperative. Avoid getting engrossed in your cell phone while at the controls. Steer clear of adding on makeup, using an electric razor, eating, and of drinking and driving. 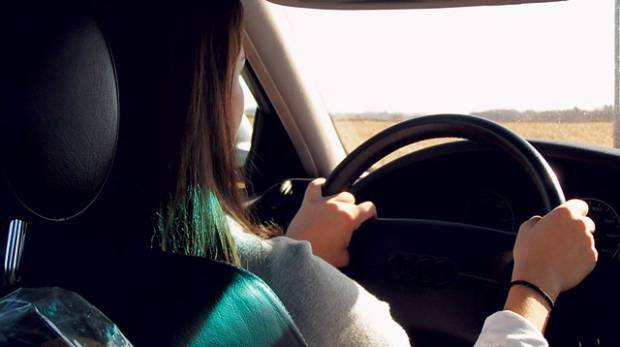 Last, be sure if your teen is getting set to learn how to drive that you pass along the right driving tips to them. He or she may very well have watched you drive over the years. As a result, your actions could have influenced them then and will influence them now. Will Age Become a Factor? At some point, you may have to come to grips with the fact that your driving skills are going in reverse. As people age and their skills slow down, the ability to react to situations changes. When this happens behind the wheel, you run the risk of causing an accident or being able to avoid one. Although you may not want to admit it, be honest with yourself when your driving skills diminish. In doing so, you can come to the decision of turning in your driver’s license. While it can be a difficult decision to have to make, it is one that will be in everyone’s interest. In the event you do have to stop driving, at least you can then have others do it for you. That said who does not like the option of having a chauffeur? As you stop for a moment to reflect, could your driving safety get better?